← The precarious upkeep of New Orleans’s famous cemeteries (Sept 2015. National Geographic). 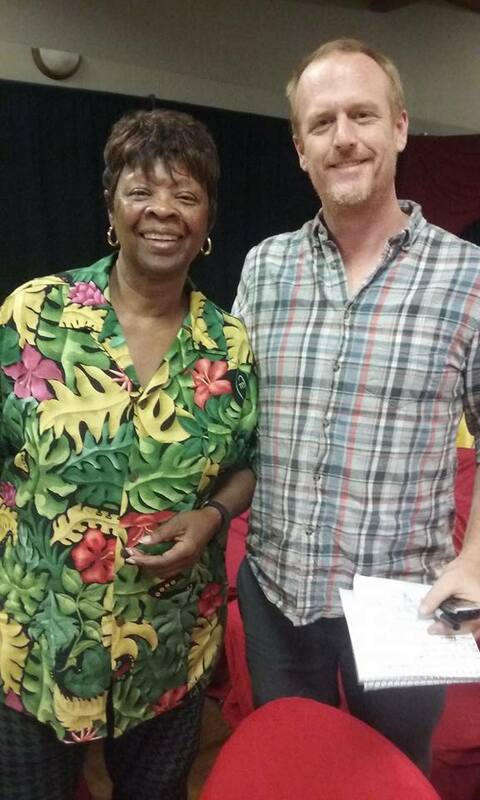 Hanging with singer Irma Thomas (Nov 2015. NewOrleans.me). Rhythm and Blues singer Irma Thomas is so authentic that only she could play herself in the theatre adaptation of her life, Simply Irma. Well, for most of the time. “Actually, of the 24 song of hers in the play, a younger actress sings four,” says Anthony Bean, proprietor of the Anthony Bean Community Theater and author of the Simply Irmascript. “In real life, Miss Irma is so quiet and sweet, so in my version of how her life should be like, I got her dressed up like the Supremes, bigger than life, and then she comes out on stage and crashes the whole thing – ‘This is not who I am’ – and then she starts telling the story herself,” says Bean. or just gaze longingly at this photo of Irma and me!